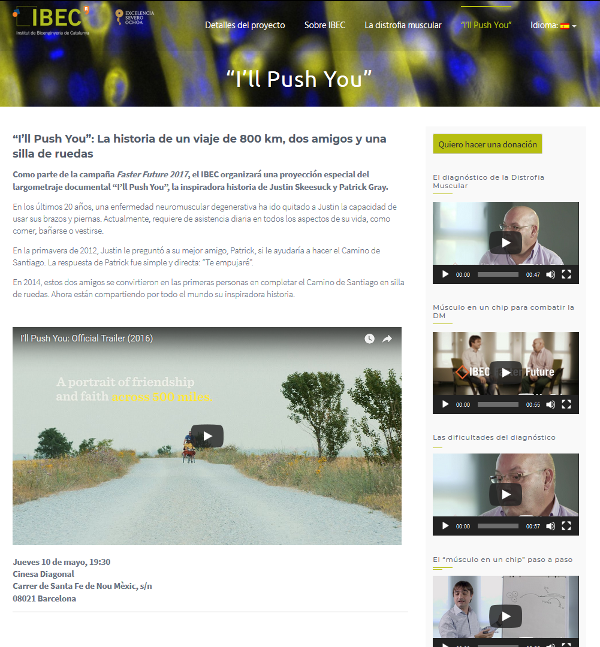 Much of the research carried out by our client Bioengineering Institute of Catalonia (IBEC) focuses on the creation of new personalized medicine solutions. With the aim that these applications can be carried out in clinical practice as soon as possible, we have co-created with IBEC the concept of communication and strategic planning #FasterFuture. Through the Faster Future program, IBEC has been able to accelerate and put into practice projects that are already at an advanced stage of research, and through a matchfunding campaign companies and citizens have been invited to make this possible. 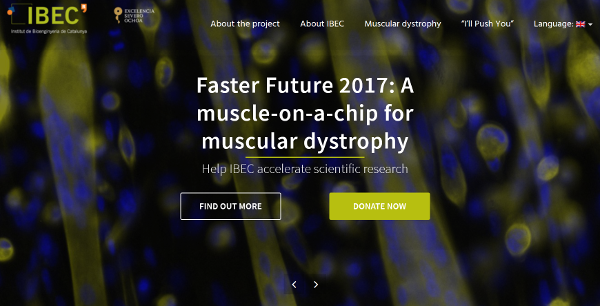 In 2017 the €25,000 goal for a project launched at #GivingTuesday that aims to obtain a device (muscle on a chip) was achieved. It will allow assessing the efficacy of drugs related to muscular dystrophy in a personalized way, through the Muscle cell culture of the patient himself. In 2018, we continued to accompany the Institute’s management team to define the most efficient and differential evolution of its communication strategy and the fundraising program.